Wordless Wednesday – My Ball! 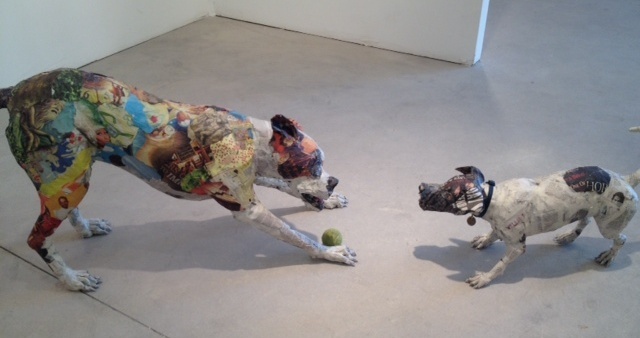 Remember that Art Wynwood thing I shared with you a while back? Mom knew JJ and I would appreciate this piece of art. Another great and artistic day. 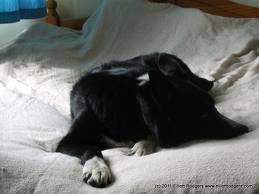 Thanks to Blogpaws for hosting the Wordless Wednesday Hop. Last night, Mom had an “oh no!” moment when she correlated the date to the end of Dental Hygiene month. Our dental treat container, (can you believe she uses washed out kitty litter tubs to hold the packages?) has reached the red, blinking, “Warning, Warning” levels. Since many retailers discount dental treats during February, Mom MUST order today. Jet? Yes Mom. This year, February includes one extra day for this math calculation adjustment thingie called Leap Year. Thanks for explaining Mom, so really you have today and tomorrow to order our treats? Exactly my boy. I know I’ve mentioned these items before, however, since Scooby Doo Academy recommends reviewing for information retention, I will run down our preferred dental treats. Twistix – Tail Up – good for your belly, your breath and fun to chew. Tail down – JJ and I can polish these off in about 2 minutes. Mom: Sometimes like a piece of licorice, the chew gets stuck in their teeth and you see them confused that there’s a good taste in their mouth just out of reach! 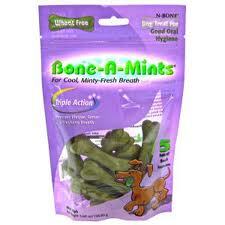 Bone-a-Mint – Tail Up – good for your belly, your breath, fun to chew. When Koko was alive, Mom gave her this treat on the nights I received the next item. Now, since the Chewminator and I have the same chomping pace, Mom gives us the same treats on the same nights. Tail Down – Mom buys the small size (Mom: economic realities my boy) so we masticate (vocabulary builder) in 3 minutes. 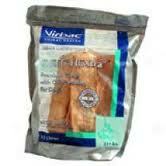 HEXtra Chews – Tail Up – Dr. Schaffer approved, keeps us busy for 10-15 minutes, tastes yummy, crunches. Tail Down – Mom should give them to us all the time. Mom: A little pricey, must intersperse with other treats. 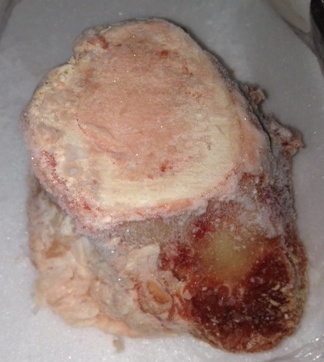 Tail Down – Mom opens the freezer to remove the bones only once a week. Mom: make sure your vet tells you what type of bone is safe for your particular K9. Bone chewing can be sloppy business, make sure your K9s either have napkins (towels), or chew in an appropriate location. Hooves – Tail Up – keeps us busy for days, sustainable (Mom taught me about that. ), nice and loud. Tail Down – Mom doles these out periodically. Mom: the hooves smell a little bit, make sure the hooves are from the USA as some hooves from China are tainted with you do not want to know what. Antlers, horns – Tail Up – keeps us busy forever, even the Chewminator! Tail Down – kind of boring after a while, then upon rediscovery really exciting again. Mom: Make sure antlers and horns are from the USA, can be pricey, however, last forever. 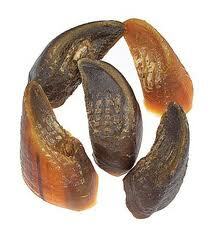 Fellow K9s, what dental treats (preferably all natural) do you enjoy? 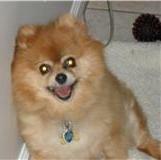 Humans – Don’t say Dental Hygiene month, call it dental treat month… just call me Jet, the Spin Dentist! Another great pearly white day. Last week, Mom purchased a bunch of veggies on sale at the grocery store. She decided to roast the cauliflower, broccoli, red onion and sweet potato. JJ and I, Mom’s Kitchen K9s extraordinaire, stood ready to tackle our kitchen’s QC, quality control. Mom tossed us a few cauliflower and broccoli tidbits from the cutting board to assure the raw veggies met our level of satisfaction. 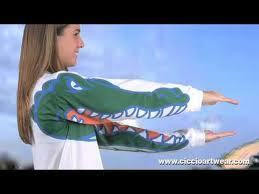 Hearing our two jaws snap like a University of Florida gator chomp, she knew so far, so good. 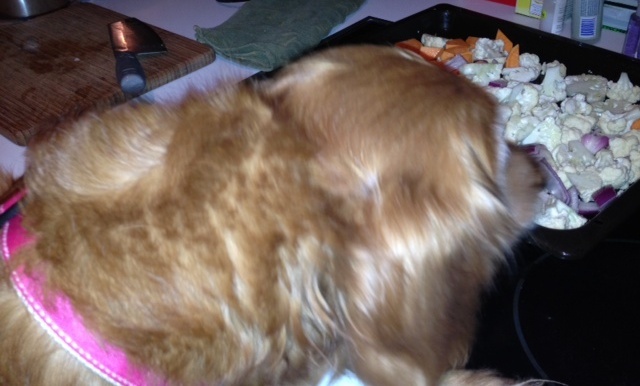 Since K9s cannot eat onions and raw sweet potatoes did not seem appealing, Mom went about putting the veggies on the roasting pans, drizzled oil, used the pepper mill and a teensy bit of Celtic sea salt. The final step before the veggies go in for a tanning session? Mom quickly massages the cruciferous, starchy and allium components making sure to coat the veggies with the oil mixture. She turned to the sink to wash the slippery oil off her hands allowing her to transfer the pans to the oven and … SOMEONE, NOT MENTIONING NAMES, COUNTERSURFED AND SNATCHED A CORNER’S WORTH OF CAULIFLOWER! Mom gave her the naughty speech, returned to washing her hands and SOMEONE, NOT MENTIONING NAMES, COUNTERSURFED AND SNATCHED A CORNER’S WORTH FROM THE 2ND TRAY OF CAULIFLOWER AND RAW SWEET POTATOES! Oh, that someone received the “REALLY JJ? RAW SWEET POTATO” lecture after Mom grabbed her phone to snap a picture for Mischief Monday! Another great, I’m not in trouble, day. 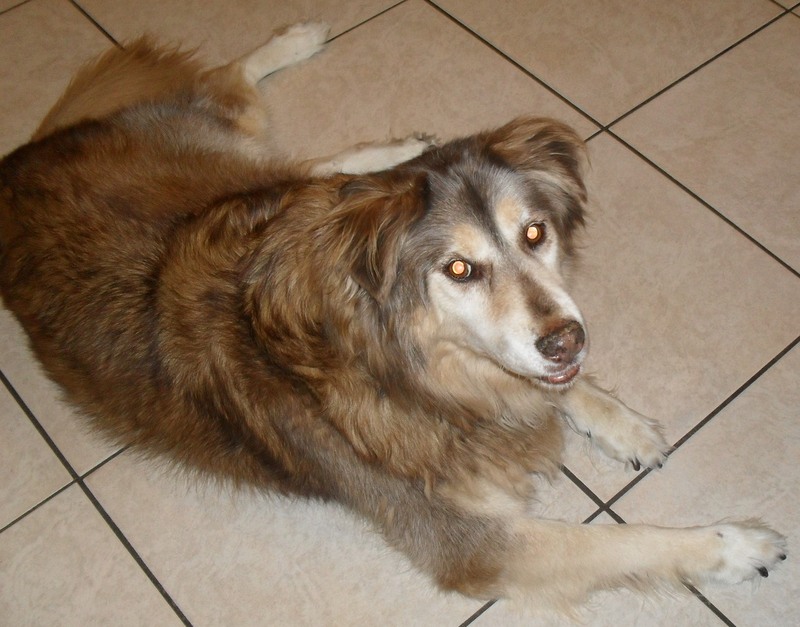 Thanks to Alfie’s Blog, Snoopy’s Dog Blog, My Brown Newfies and Luna, A Dog’s Life…for sponsoring the hop! Remember last week when she went to that Food Network stuff? Well tonight, she and Auntie Liz will attend The Best Thing I Ever Ate. Hey Mom, I like late night bites and sweets and so does JJ for that matter. Jetty, I wish I could bring you; however, Auntie Liz’s building will not permit K9s of your handsome size. I know you find it difficult to imagine, however, not all humans appreciate K9s near their food. 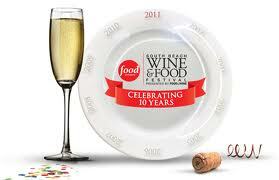 Then tomorrow, Mom, Miss Mary Ann and two more friends will attend the Grand Tasting. Last year, they tasted, laughed and enjoyed a great day. I know because I saw their photos. They saw this human called Paula Deen pretend this other human called Robert Irvine was a horse and she rode him on the stage! Mom? Yes, Jetty? I deserve Grand Tastings don’t I? Of course you do my boy. Again, they serve beverages with alcohol that would hurt your tummy and body. The thick lines for food samples would test even your sweet patience. The demonstration areas only have chairs; no comfy spots for you to wait and listen. Plus, to tell you the truth Jetty, I really pay attention so I can obtain information for my Kitchen Counselor business. Mom? Yes, Jetty? I’m one of your Kitchen K9s, right? You certainly are. Well, I could help you for Kitchen Counselor business. What a sweet boy, you touch my heart, Jetty. Let’s do this. 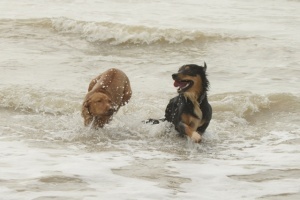 Let’s make a playdate with our new cyberpal, Flo and go to the beach where you and JJ can have special fun. Sound like a plan? Ok, Mom, Ok… sounds great… I’ll try practicing patience and wish you, Auntie Liz, Miss Mary Ann and everyone else a great time. Jet, this is Flo with her friend, Sammy... let's see if we can get a picture of you, Flo and JJ! Another great and understanding day. Miss Wendy began writing to me early in my blogging career. Every day, she sends me hugs and kisses from her whole family, tells me funny stories, asks about our family members’ health and compliments Mom and me. We look forward to seeing Miss Wendy’s daily comment in the queue. We finally met Miss Wendy at the GRSF reunion in January. Unfortunately, her fur family did not feel comfortable attending. You met each other briefly (like on vacation) but lived far away. 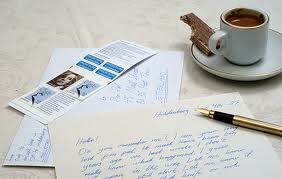 You never met in person however through your letters you built a relationship. Through Miss Wendy’s comments, we feel like we know Cassie, Rex and Barkley. Cassie, a rescue from Golden Rescue South Florida, like JJ and I, feels like my twin sometimes. We have several behaviors in common. Rex sounds like he has a big personality in a small package. Barkley seems like a cool dude I would enjoy hanging out with. Lucky for us, as cyber pals we can share images which enhance our connections. Another great cyber pal day. Thanks to Life with Dogs, Two Little Cavaliers and Confessions of the Plume for sponsoring today’s Hop. 3:45 a.m. – Great time for Snuggles! As you may have deduced (vocabulary building word), Mom’s running a deficit in the sleep department. 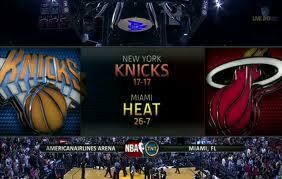 She fell asleep early last night after watching the Miami Heat claim victory over her childhood team, The New York Knicks. I matched the Heat jersey colors perfectly last night showing my solidarity with DWade, LeBron, Chris Bosch, and the guys. JJ and I let her sleep instead of waking her for our “before bed tank emptying.” The downside of that decision – we wake up earlier than usual. Mom and I woke up, (Ok, I might have helped her wake up just a little) at 3:45 a.m. She keeps her old cell phone on the bedside table to use as an alarm clock, since her alarm clock mysteriously fell to the ground one too many times. After a while, I reposition again; I look like the filling to a reverse Capital “C”. Mom can reach my belly this way and I can reach her extended left arm to lick and show my appreciation. The last reposition ends in spooning; with Mom generously sharing her pillow with me. By 4:17 a.m. Mom surrendered to the hope of falling back to sleep, turned on the tv to watch the end of this show called Project Runway and then watched Private Practice, which she completely slept through last night. At 5:19 a.m., JJ and I flanked Mom like plane wings while she took dictation for this post. We started to nudge her for breakfast eleven minutes to 6:00 a.m., even though the post reflects off the monitor incomplete. We’ll give her a few more minutes! Another great and early start to the day. For my Spring Semester Scooby Doo Academy Psychology class, we must run experiments. After one of our morning constitutionals last week, Mom pointed out a possible opportunity. Living in South Florida, lots of governmental humans feel the urge to plant rows of palm trees on major roads to increase the “elegant” factor. I’m certainly not complaining; they provide wonderful sniffing and emptying the tank locations. 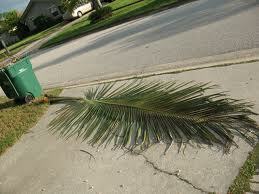 One certain side effect for the homeowners; palm fronds routinely falling and blocking sidewalk and driveway access. The scent of a downed palm frond always catches my attention. I must smell the whole frond, no matter which section I encounter first. Some fronds measure 6-8 feet which gives Mom and JJ time to practice their patience skills. I stopped just shy of the frond, causing Mom and JJ to break their forward momentum, unexpectedly. JJ and Mom looked around admiring the morning while I began my sniffing circuit. After deciding the frond contained satisfying, yet not outstanding scents, I intuitively placed two paws in front of the frond and two paws behind it lining up the frond’s center directly under my belly. You know where this is going, right? Yup, gave it a thorough “Jet was Here” tank emptying! You know what JJ did? Nothing, she daintily skirted the frond around its left edge and moved along. You know what Mom did? Nothing, she daintily leapfrogged over the frond. 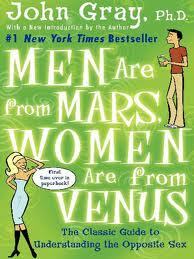 Initial Conclusion: Men are still from Mars and Women are still from Venus!